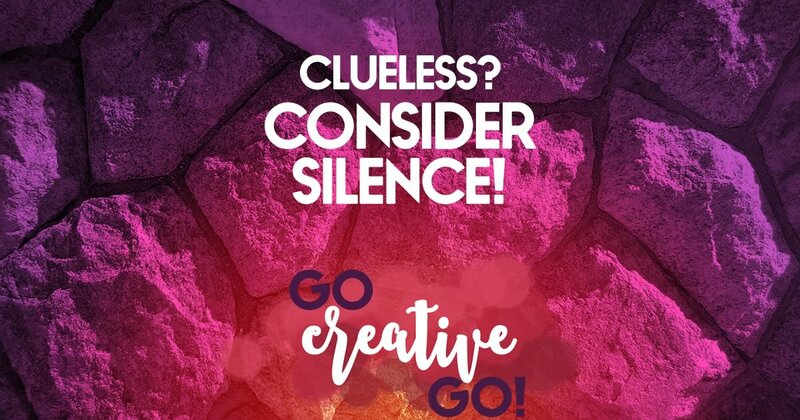 Social Media Etiquette Archives - Page 3 of 3 - Go Creative Go! Dear Marketing Technologist: You’re Being A Twidiot! It’s funny, but last Monday’s article, Dear Leading SEO Service Provider, wasn’t my first “open letter” response via blog post. I’ve actually written a few of them over the years, and they tend to generate some interest and get a little discussion going within the comments. I was, however, thrilled with the response to my latest open letter style and as I was speeding through my feeds recently I came across another terrifying tactic that I immediately decided needed to be dealt with in the same fashion. Before I start, let me define one of the words in the title. A Twidiot is a Twitter idiot. Just in case there was any confusion. Okay, the instigator of this open letter decrying terrible Twitter tactics showed up in my mentions late last week. As I monitor my mentions pretty carefully, because I want to thank those who share my articles and also want to actually talk to my connections, I saw this and clicked through to check out who exactly had mentioned me. First red flag? No following on either side of the relationship. That means I’m not following him, he’s not following me. Just a small red flag, not waving a pennant. Maybe this marketing technologist wants to start a dialogue. Second red flag? The tweet wasn’t a question, comment or compliment (generally the three ways most of us start a discussion on Twitter). It was a link. Of course I clicked the link. If I hadn’t, this article would never have happened. The link led me to a landing page. If I signed up for it, I’d receive a link to view an email all about personalizing in order to better suit the needs of my clients and prospects. That’s when my Simmer Down Sassy Pants antennae really started buzzing. REALLY! You’re going to try to sell me on personalizing my marketing efforts when you’ve done nothing to make a personal connection with me? Personalization in Marketing Requires You To Act Like A Person! Once I saw the link, I decided to dig a little deeper. First, I checked to make sure this specific marketing enthusiast actually worked for the company in question. He does. Getting To My Marketing Point, Already! So, this is obviously spam via Twitter. And really no different than email spam, Linkedin spam or Google+ community spam. Spam is spam is spam, it only differs in the delivery. Maybe it’s just me, but shouldn’t a company trying to showcase itself as an authority on personalization actually personalize their marketing message? Maybe spend a little time on building real connections that might turn into leads, prospects and customers? I monitored this Twitter account all weekend. The 60 posts per our wasn’t a tech glitch. The same posting pattern continued throughout the weekend with the same three rotating tweets. No changes. Over the weekend this equaled thousands of tweets, each mentioning a different Twitter handle. Funnily enough, the follower numbers didn’t change at all. No new connections were made based on these scintillating tweets. SHOCKER! While marketing and technology, especially in the form of smart and personalized marketing automation, do actually go together, I don’t think our marketing technologist friend got the right message. 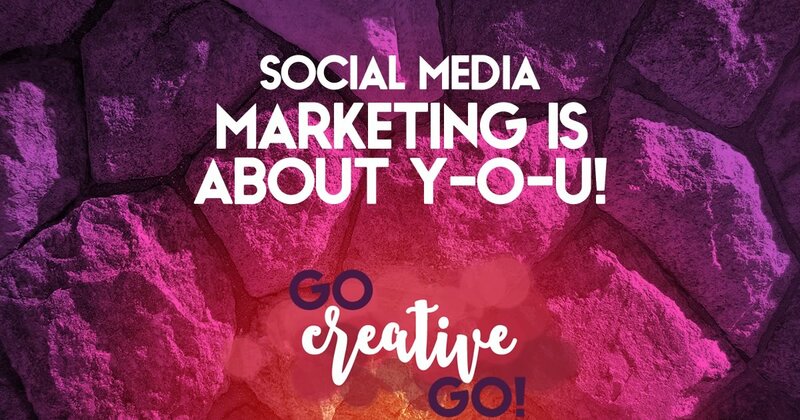 When you forget that marketing, especially via social channels, is about creating and maintaining relationships you might soon find yourself swimming in seas that foster spam. Technology should assist in your marketing efforts, not override them in a bid to send out an endless stream of tweets that detracts from your brand’s real message and makes you look like a Twidiot! What kinds of bad online marketing behavior have invaded your digital space recently? We’d love to talk to you about it! Mallie Hart http://www.gocreativego.com/wp-content/uploads/2016/07/GCG-sitelogo-new.png Mallie Hart2014-10-06 14:29:202014-10-06 14:29:20Dear Marketing Technologist: You're Being A Twidiot! 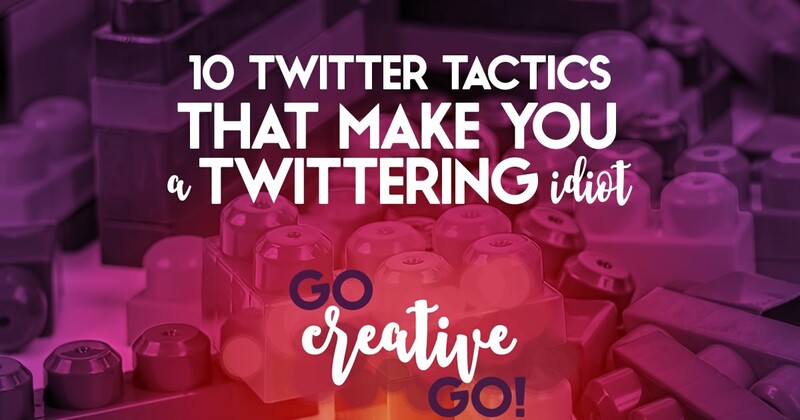 Top 10 Twitter Tactics That Make You A Twittering Idiot! Social media, when managed, maintained and used properly, can be magical. For businesses it offers up a chance to engage with current and potential clients, allowing you to broaden and deepen a relationship. However, when poorly utilized, there’s possibly nothing more annoying and potentially deal breaking. Sadly, Twitter – my favorite social media platform, tends to be a hot spot for some of the biggest offenders. Hijack our feed! We don’t need to see your name and avatar over and over AND OVER AGAIN, taking up our entire feed. Space it out a little, folks. Make it appear like your shares and ideas are part of a well planned choice, not a scattershoot. Don’t actually read, in its entirety, the article to which you post a link. Share out of date articles or misinformation and you’ll soon lose the trust and respect of your followers. Reply to every tweet on every feed you follow. Seriously, some tweets are just random thoughts or rhetorical questions that do not require your response. No one wants to see their feed taken over by your repeated “Yeah, man” reply posts. Never link out to pertinent information. You’re not omnipotent or omniscient. There’s no need to reinvent the wheel. Link out to pertinent articles, photos and videos. We’ll appreciate the share and consider you on top of what’s new and important in your industry or field. Use text speak and cutesy spellings. Yes, you’re limited to 140 characters. You can still utilize proper spelling and grammar. Get too personal. Yes, social media is about personalizing a brand and engaging with your audience. But it’s not a place to let loose with ranting political beliefs, too personal messages or moral dilemmas. TMI can drive friends away online, too. Automate without a sense of timing and importance. Posts should be timely and relevant. Breaking news posted three days later has no value. Hash tag EVERYTHING. Yes, hash tags help your tweet get found in search. But you don’t have to take up every available character with hash tags that might not mean much to the conversation. Hash tag inappropriately. It’s a lot like web sites that used to add keywords to their meta tags that had nothing to do with their site’s actual content. It’s cheating and it’s annoying. We feel duped. When we feel duped we cease to follow. Fail to change out your avatar. Want your business taken seriously? Post your logo, a head shot, something. Not that default egg. Many consider Twitter a serious business tool, me included. If you can’t take the time to completely fill out the shortest about section across all social channels correctly, how can we take you seriously. Did I miss one of your top Twitter peeves? Of course there are others that I didn’t list. Feel free to share the tactics that get you riled in the comments below. Happy Friday and here’s to a wonderful weekend free from Twitter twits! http://www.gocreativego.com/wp-content/uploads/2014/08/GCG-pinnable-twittering-idiot.jpg 1080 735 Mallie Hart http://www.gocreativego.com/wp-content/uploads/2016/07/GCG-sitelogo-new.png Mallie Hart2014-08-15 08:30:062016-10-12 18:16:33Top 10 Twitter Tactics That Make You A Twittering Idiot! 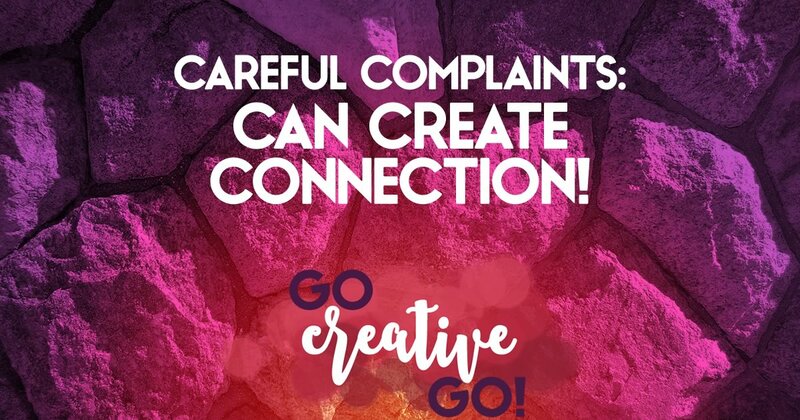 Careful Complaints Might Actually Create Connections! I recently saw this tweet and it immediately got my “devil’s advocate” juices flowing. I often like to look at the flip side of an idea, even when I agree with it, as it often creates content worthy of discussion. Yup your day is hard; some of your followers have it HARDER. Complaining about little things magnifies their hardships. Quit complaining! While I actually agree, for the most part, with the message and premise of the tweet, it got me thinking, and prompted this article! This is in no way a “slam” on the tweet. 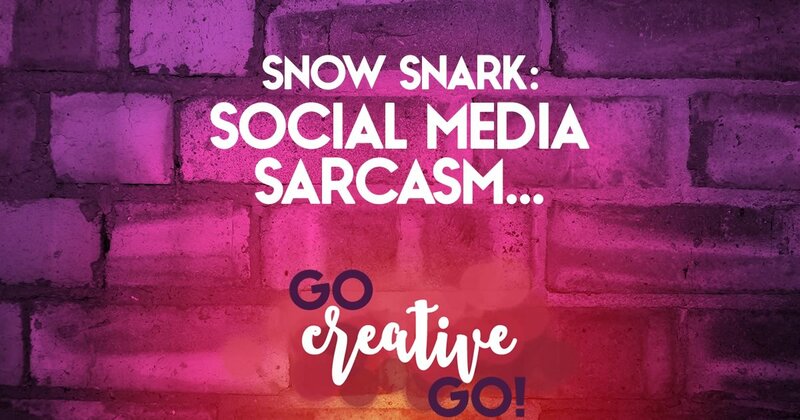 It stirred up an idea – and that’s exactly what items shared via social media are meant to do! No ideas = no discussion, meaning there’s no reason to post and share at all. Back on topic. 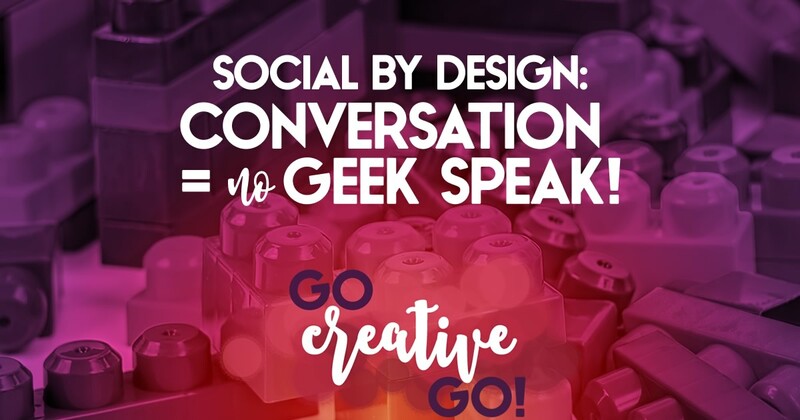 Consider that one of the main concepts behind smart and savvy social media connection and conversation is “being human.” As humans, things irk us. Irritate is. Makes us go for the “SMH” acronym. Most of the time these irritations are pretty little in the scheme of things. But they’re part of what makes us human. Part of what drives the emotions and thought processes that make us sentient beings. I don’t know about you, but I don’t smile and laugh 24-7-365. Mistakes are made, glitches and outages arise and irritations of many sizes are part of the daily running of our business. Sometimes apps or social media platforms go down, your computer crashes before you’ve saved your work, or your business partner bugs the crap out of you. Clients, too, can create irritations. As I’m not a mind reader, I know it’s a little frustrating when I get vague design direction from a client. Deadlines sometimes pass through no fault of our own when clients don’t deliver content or other needed items. And sometimes clients are slow to pay, for whatever reason. Those situations don’t normally bring a smile to my face. How about yours? If we consider that it’s often the little things, the daily details that help flesh out our personality – what make us uniquely us, then it stands to reason that those little things make those around us their unique and special selves, too … right? And each day we all face our own unique tasks, issues, celebrations and more. Consider the oft-used phrase, “Caring IS Sharing.” If we dig a little deeper into that, beyond the sharing of an article link to the sharing of an idea, it stands to reason that, when we’ve made a real connection, built a real relationship, we care about those things good and bad, big and small, complaints and celebrations. It’s social to commiserate or sympathize when someone in our circle shares a complaint that resonates with us. We have likely felt the same irritations, voiced the same complaints. You can take anything too far, and you NEVER want to come across as someone who constantly complains and finds no joy in life or business. But, life and business aren’t pretty, pink and perfect all of the time. Shades of gray and blocks of black sometimes cloud the more positive color of our activities and interactions. We’re not alone. Sometimes the act of commiserating and empathizing creates even deeper connection. Of course our minor daily foibles might not gel with someone facing a serious life crisis. I think it really depends on how you share that complaint. There’s a reason that the article title uses the phrase “careful complaints,” as, when carefully crafted, our posts can often add humor and understanding to the things that are only human. What do you think? Can you share a complaint carefully in a way that generates conversations and build connections. Or do complaints always drive people away? 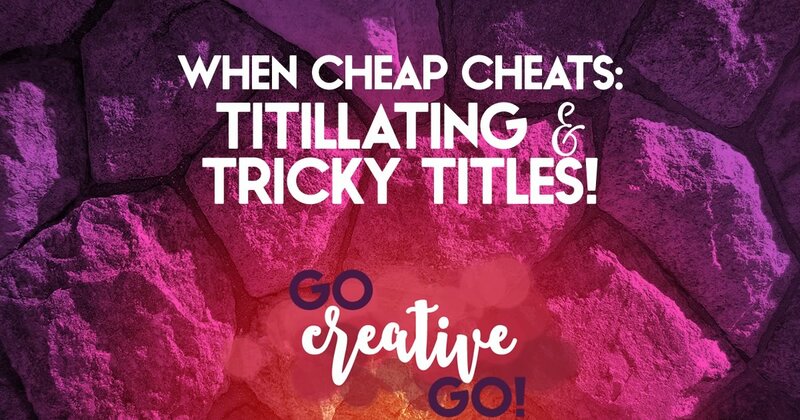 http://www.gocreativego.com/wp-content/uploads/2014/08/GCG-pinnable-careful-complaints.jpg 1080 735 Mallie Hart http://www.gocreativego.com/wp-content/uploads/2016/07/GCG-sitelogo-new.png Mallie Hart2014-08-05 08:12:582016-09-30 20:38:38Careful Complaints Might Actually Create Connections!